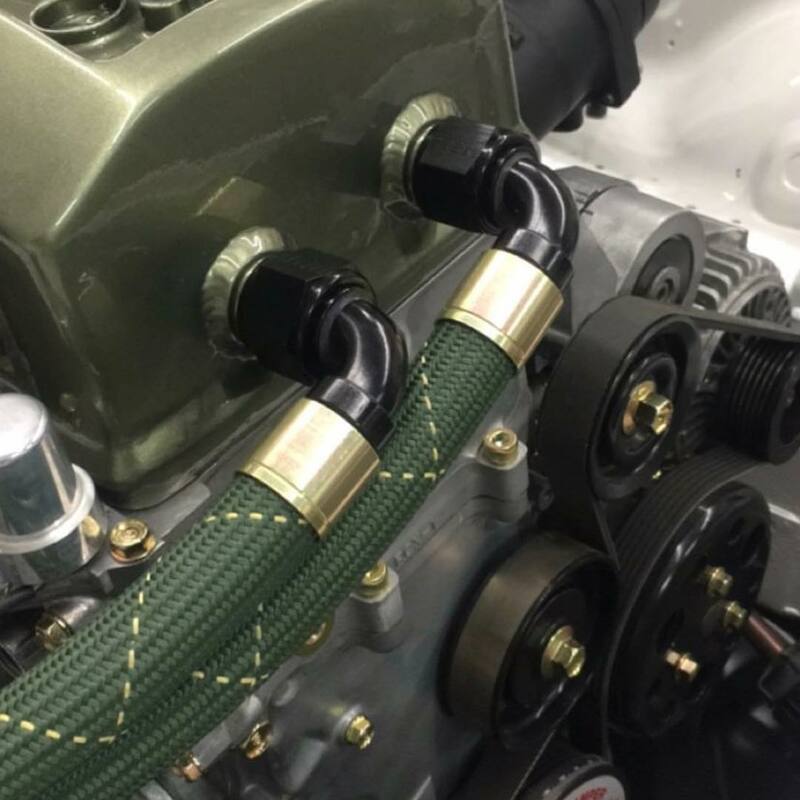 HS79 Green smooth bore Silicone, PTFE and Nomex braid hoses flowing Fluid Horsepower!!! See us @SEMAshow Peninsula 24235. Photo credit to @rywire_motorsport_electronics #convolutions (Nomex is a trademark of DuPont) – XRP, Inc.